Four lovable labs are ready and waiting for you to take them home. 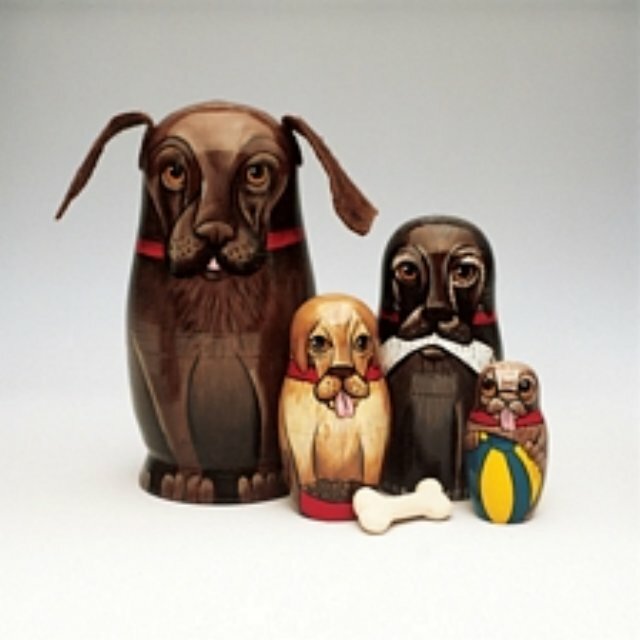 Our adorable nesting doll set features a large chocolate lab with soft floppy ears with a yellow, black and white lab and a tasty bone treat nesting inside it. Largest dog measures 5 1/4" tall.